Andy started his design career in Wausau, Wisconsin after graduating from the North Central Technical College in 1999 with an Associates of Applied Science in Architectural Residential Design. 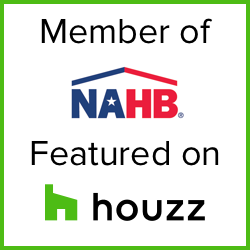 After gaining six years of experience, he then moved to Houston, Texas where he worked with multiple different builders and created a name for himself. Two years later, Andy moved back to Wisconsin and started designing independently at his own business, A-K Design Professionals. A-K Design Professionals is a full service architectural design firm specializing in residential designs. Our philosophy is to maintain a sense of integrity in every project. We find effective solutions to fit the client's wants and needs, while respecting their budgets and the surrounding community. The following link leads to a map where our previous work is posted by location. Images with each post will be up soon!